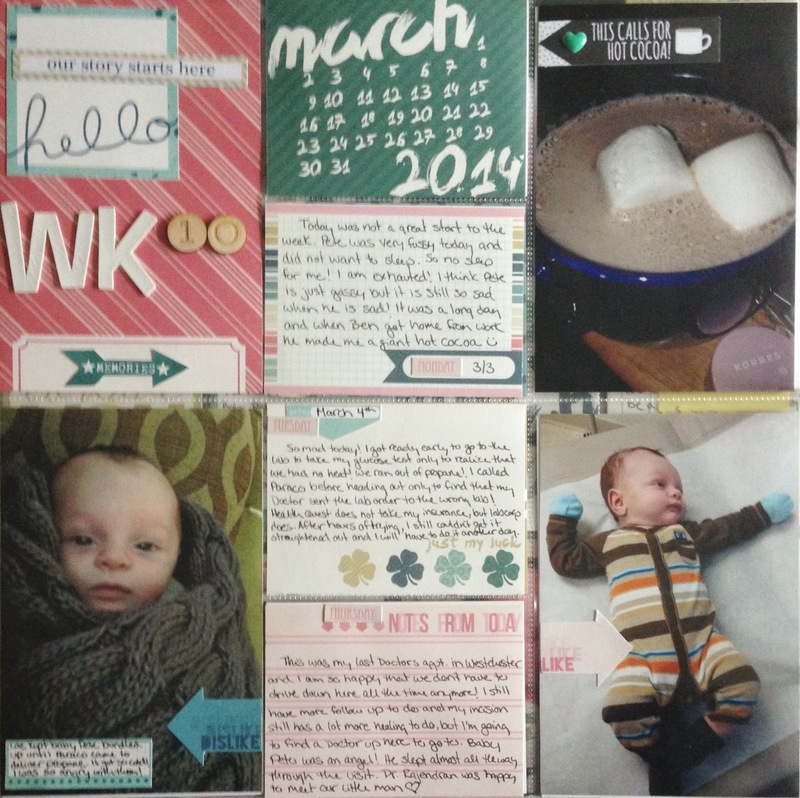 Just about everything I used was from my March Gossamer Blue Life Pages Kit. The only exceptions are the "WK" thickers, the "10" wood veneers were from my January Kit and the "this calls for cocoa" die cut was from my January Scraptastic Kit. 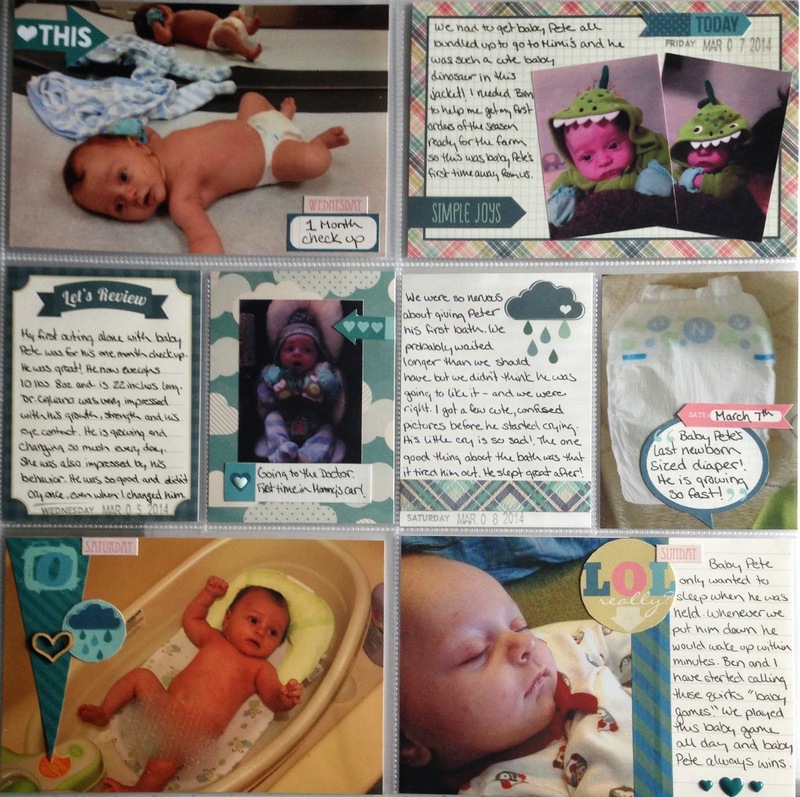 Everything I used on this page was from my March Gossamer Blue Life Pages Kit. I have really been enjoying and using up my kits!